Eighteen year old Roger Alexander was just an aspiring photographer when he placed a phone call to ask if he could photograph the inside of the Haish mansion. The year was 1961; the mansion, located on the corner of Third and Pine Streets in DeKalb, was set to be demolished in just two weeks. Alexander, of Sycamore, used his Kodak Brownie to take the photos below. He said he was fond of the home. Alexander remembers hearing stories about the European artists who lived onsite until they finished painting the murals in the home. He also recalls seeing a fireplace in every room. Both the Ellwood and Haish mansions had been on the market by this time, but only the Ellwood House had a buyer. 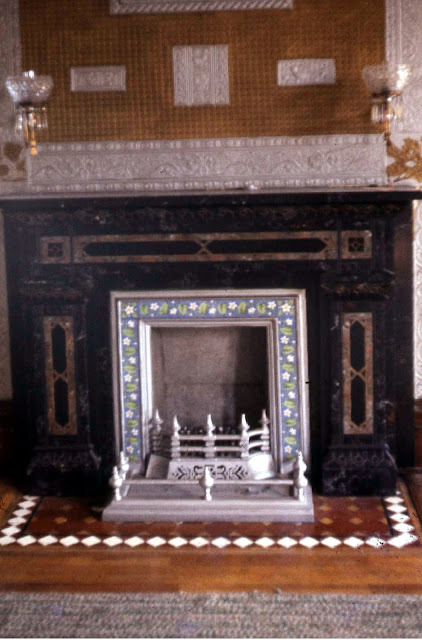 After seeing the interior of the Haish mansion, Alexander agreed with the majority of the community who said the home needed a lot of repairs in order to stay open. "But [the Haish house] was no different than the Ellwood House at the time," Alexander said. "They both needed repairs, they both should have been saved."